Light up the rooms in your home! – In addition to overhead lighting, there should be a minimum of three lamps included in the room. – Each furniture grouping in the room should be anchored with lighting (usually down lighting or task lighting). – Upward lighting can be used to give a glow to rooms. Use them on the floor behind large plants or trees. – Small lamps (as well as lit candles) add a warm and inviting feel. Try placing them in a bathroom, on bookshelves and on small accent tables. – If you are not interested in purchasing new lamps and to help keep costs down, try buying new lamp shades for a whole new look! 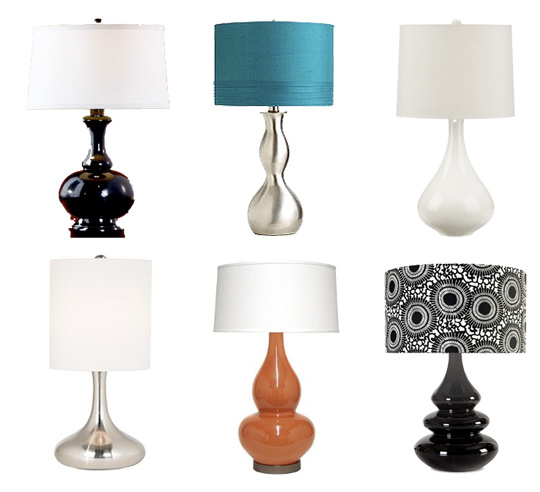 Keep in mind that lampshades should be about 3/4 the height of the lamp base. – Chandeliers should be placed between 27″- 36″ above a dining room table. – Not all lamps in the room need to match. In fact, it’s more interesting if they don’t match! Don’t forget that you can vary the heights of lamps by using different accessories such as books and small decorative boxes. – Light bulbs can alter the color of the walls in a room. You will notice that some light bulbs give off a yellow glow which in turn can make the paint on your walls look completely different than what you thought. For the truest light, I highly recommend using GE Reveal light bulbs. The bulbs are made specially to filter out the dull yellow rays produced by standard incandescent bulbs. https://redefineddesigns.com/wp-content/uploads/2011/08/apartmenttherapy.jpg 492 540 Jenna https://redefineddesigns.com/wp-content/uploads/2019/03/Redefined-Designs-logo-revised2017-RGB-small-for-w_e68147bef04a4c12bb7de8e8de138a0e.jpg Jenna2011-08-23 15:28:012013-04-03 22:13:51Light up the rooms in your home!